Oswego about 1905. Bus to take people to someplace. Glenmorrie had a business. Driver, Willis Carrington. Description Appears to be a copy of an original photo with a tear at the top. Bus has Oregon license plate 3609. A letter from the donor is with the photo. Transcription Oswego about 1905. Bus to take people to someplace. 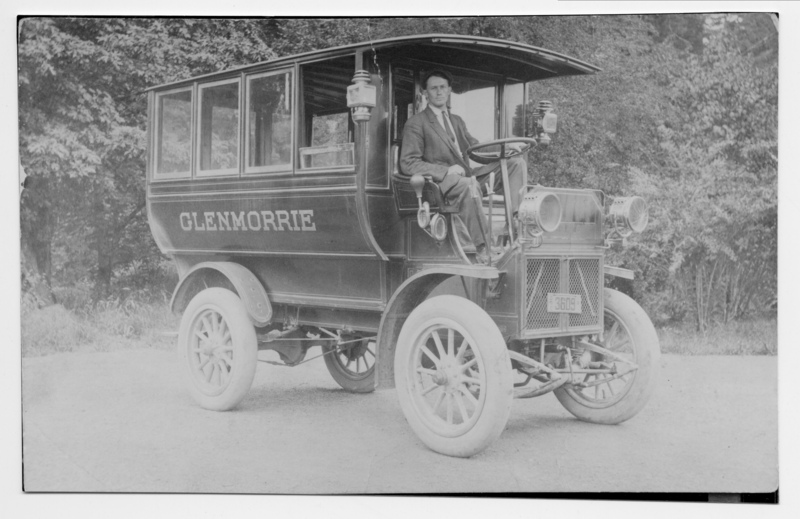 Glenmorrie had a business. Driver, Willis Carrington.